The situation in the industry and beer market has been unstable for three years already. 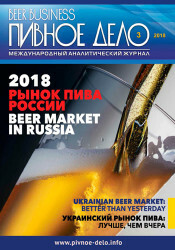 After a dynamic growth in 2006-2007 years, the year 2008 brought about stagnation for beer consumption and production in Russia. The previous year was a succession of problems. In particular the leap of producers’ sales prices (who had several objective reasons), poor weather and the economic crisis stood in the way of gradual leveling of market development rates. 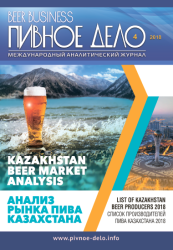 Beer production and market in Kyrgyzstan Republic is forming and has a big development potential. This is confirmed by comparatively low consumption per capita and substantial share of inexpensive beer in the overall sales volumes. Currently Kyrgyzstan market is dominated by Russian and Kazakh companies, and in the past year import supply growth amounted to 26% in money terms. However the local brewers manage to modernize production, develop profitable market segments and prepare for expansion into the perspective regions of the country. Detroit Investment fund has always been successful, both at beer market operation and in investment projects realization. “PIT”, “Syabar” and “Vladpivo” all these companies were quite fortunate and were bought by world’s beer giants on the tide of market share growth. The new DI project is targeted at balancing import business, particularly in the conditions of economic crisis and ruble devaluation. “Moscow Brewing Company is a strategic project and built the plant not to sell later” - says Yevgeniy Kashper, co-owner of DI. He is sure that the Russian consumer can change her attitude to mass-market products, willing to pay a fair price for them, not including the promotion costs. Nowadays beer brands must be promoted not by advertising but by a balanced trade system and value for money products. 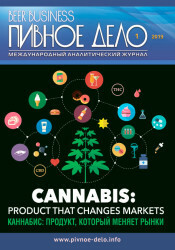 Roman Stepanovskiy, brand manager of “Obolon” entertains a possibility of changes in Ukrainian market price segmentation. The crisis will make the price factor more important, which can lead to growing of mainstream segment at the account of premium segment. However moving of expensive brands to a cheaper segment is unlikely. 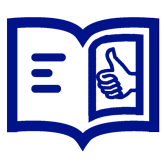 “Obolon” carries on developing the existing premium brands i.e. youth’s beer “hike” and business beer Magnat, but at the same time it has launched its anicrisis brand Zibert.